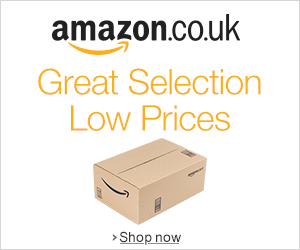 Leighton Buzzard Festival Singers can gain some extra income whenever you make a purchase on Amazon. This will help us pay some of the costs of putting on concerts, which include the hire of music, soloists, orchestral players, venues, and so on. (a) register on smile.amazon.co.uk and then always use smile.amazon.uk instead of the usual Amazon site when you make a purchase; see this guide for details. (b) click on the easy fundraising logo below, and follow the instructions there. Thank you for thinking of us! You will help us to continue making wonderful music. You can greatly help choir funds by shopping on the Internet through this web site. You pay no extra, but the choir earns a small commission. EasyFunding have a range of retailers who support us with commission. Retailers taking part in the scheme include: Marks & Spencer, John Lewis, Littlewoods, B.T., Rymans, Hoseasons, Eurocamp, Hertz, RAC, AA, Early Learning Centre and many others. Just click on the logo on the left.